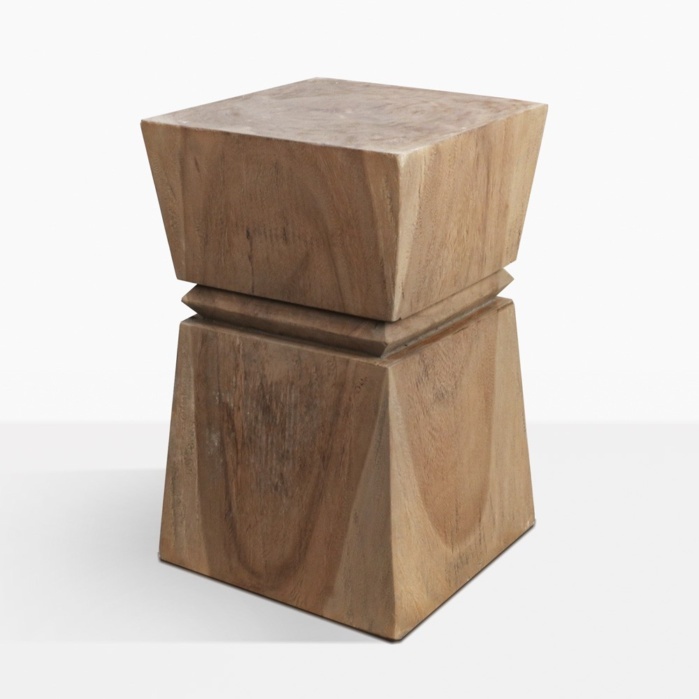 Made from teak wood the Rothko Side Table is eccentric and classic. This side table is made in Indonesia and part of our distressed and recycled collection. With natural character due to the cracks and imperfections make this piece a truly gorgeous side table. Great for indoor and outdoor spaces alike, this piece will certainly make a statement. Pair with our other side tables with this collection for a unique and interesting space. Teak wood ages beautifully, adding great characteristics to this incredible side table. Please note that each piece is unique and will vary slightly in size, color, and hue. Call us today at 800.343.770 we personally answer the phones during business hours.